Here’s the 2nd part of my interview on If Only They’d Told Me, with Natalie Cutler-Welsh. 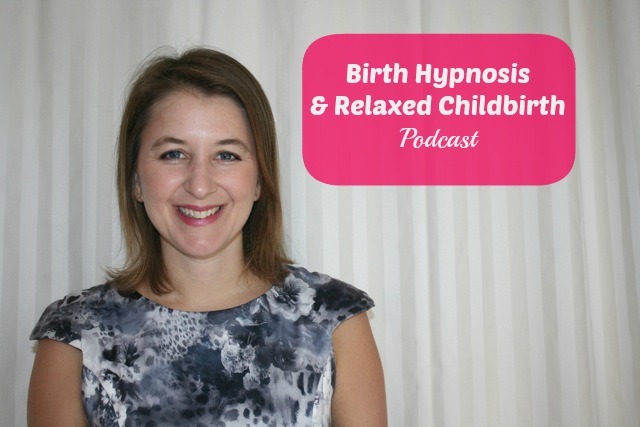 We talk more about hypnosis for birth, and how it can help regardless of whether you are feeling reasonably relaxed about the prospect of labour or if you are terrified or if you have had a previously traumatic birth experience. If you missed part 1 let’s talk phobia’s you can read it here. So let’s talk about labour. What are the women that you work with afraid of and how do you change that for them? R. Well, pain is the biggest one, and it’s not surprising. We’re conditioned to believe through everything we see on TV, everything our well-meaning friends tell us, is that childbirth has to be painful. So pain is probably the biggest fear. I mean, there are some concerns about, you know, that their lifestyles are going to change, they’re going to be a parent, what are they going to do with the baby – but in terms of confidence, the biggest fear I see is the childbirth pain, and it’s a real thing. We are conditioned to believe it has to be painful, so our subconscious mind has that belief. For some people they might feel quite relaxed during the pregnancy about the prospect of giving birth, but because it’s something that’s been conditioned and tagged and imprinted on our subconscious mind, occasionally what you find is that someone, when in the onset of labour, it’s suddenly triggered and they become very, very fearful. Now when we’re fearful we’re producing things in our bodies, some chemicals and stuff, that interfere with our hormone process and that interfere with the way our muscles work, which means the way nature designed us to give birth can’t come into play. For example: Oxytocin, which most of us know as that love drug…. , that wonderful bonding drug – it’s actually derived from a Greek word which means swift birth. So, what it does is that when we have high levels of Oxytocin which we are supposed to when going through the labour, is it helps our uterus muscles contract more effectively and more easily, to help baby come out more comfortably and naturally. Now, when we’re fearful and anxious and there’s tension in the body, we don’t produce those same levels of Oxytocin. And that’s just one of the many kind of hormonal impacts that happen. N. And so are you teaching people how to breathe differently? Or are you teaching them to visualise something? R. It’s a combination of things. So firstly I work with the subconscious level to make sure that any known or unknown fears have been removed, so they can feel confident and trust their bodies ability to birth their babies more naturally and easily. Then I teach my clients how to go into hypnosis themselves. I don’t actually attend the births. I do have some clients who ask me upfront..
N. I was going to say are they all like, ‘Please come, please”. 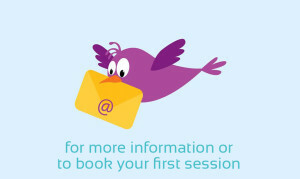 R. I simply say ask me again in the third session, and by the third session they’re like, “Oh yeah. We’re not going to need you”. So I teach clients how to go into hypnosis. Now hypnosis, for those who don’t know much about it or who have only seen what they see on stage hypnotists or TV shows, hypnosis is actually a really natural state. It’s simply a slowing down of brainwaves and focused concentration. We go in and out of it all the time. Have you ever had the experience where you’ve driven somewhere and got to your destination and felt like you’re on autopilot ? R. That’s hypnosis. When you get really absorbed in a good book or a movie and you lose track of time – that’s also a hypnotic state. So it’s very, very natural. So I just teach my clients how to go into deep hypnotic relaxation. Some clients get to the point where they can smile and talk through the contractions by being in hypnosis. Do you have an example you can share with us where someone was really scared of childbirth because they’d had a traumatic birth with another baby? R. I do. One of the most rewarding clients I ever worked with was one who was actually suffering from pretty much Post Traumatic Stress Disorder from her first birth experiences. The first birth post-birth was traumatic, the second birth the actual birth was traumatic, and some mishaps along the way which really didn’t help her. It took her years to even want to fall pregnant again, and as she was approaching the last trimester she was freaking out, literally, about giving birth. In our first session just the word ‘birth’ would cause her to have panic symptoms. It was quite interesting because her husband was like hypnotherapy is a bit airy-fairy, but she came home from after the third session and he was like whatever your hypnotherapist is doing keep going back because his wife was no longer fearful of birth and she was actually looking forward to it. And this is someone who couldn’t even mention the word birth when we first started working together. So, it’s not often you meet someone who’s got traumatic experience to that degree, but you know, just to see that change from someone who was so scared they couldn’t even think about getting pregnant, to actually looking forward to her birth. And she had her best birth: she needed no medical pain relief and felt really, really great. And obviously afterwards that euphoria feeling you get plus knowing that she had taken that huge journey and got to the other end and had a beautiful birth experience – it was really lovely. It was awesome. N. That is lovely! Because we have recorded a podcast in the past with Dr Michelle Wise about VBAC which is Vaginal Birth After a Caesarean where she’s encouraging people to give it a shot because a lot of people if they have a traumatic first or second then they might go straight to Caesar. So you, similarly, can help these women who are scared of birthing, rather than going straight to a Caesar, they can actually still give birth but do it in a relaxed way and they can actually enjoy the birthing. R. Exactly. I just basically help them enhance what nature’s given us. Learn the tools and comfort control techniques so they can actually cope and do it really beautifully themselves. In terms of Caesarean sections, I mean obviously I’m a big believer in whatever is best for you and the baby, so you can have this ideal birth plan, but at the end of the day it is whatever’s best for you and your baby. But with C-sections, I have had clients where for medical reasons they’ve had to have a C-section- you can also use hypnosis to prepare for that, for speed-healing and also if there’s concerns with lactation and bonding, because obviously with a C-section if you don’t have the natural birth with the natural hormones we can also work with that. Speed-healing. What’s that all about? R. Basically using the body’s self-healing mechanisms, facilitating a quicker, speedier recovery from surgery, whether it be from C -Section or general surgery. N. When you coach these women is it the husband and wife coming in or is it just the women coming? R. Usually it’s just the women. I have had a session where the husband came along for the first one – he loved it; he wished he was giving birth to the baby because he really enjoyed relaxing into hypnosis. (Nat laughs). But obviously there will be situations where the husband might have a fear of needles or a phobia of hospitals, so I can obviously work with the husbands if there is something that can prevent them from being able to be the best support person they can be at the birth. N. Yeah, we’ll I imagine that for some men, of course, labour is quite traumatic. I know that one of our friends was saying the was not prepared for the sense of feeling helpless, you know. His wife was in pain, maybe she hadn’t done hypnosis, and he just felt like he was standing on the sidelines and couldn’t help. So if a man has been through that experience and then he’s a bit worried about that again, then he too can get some help. R. Oh definitely. Hypnosis isn’t just limited to women. But that could be very beneficial, especially. Anyone who’s had a traumatic experience or traumatic memory, it’s actually very quick to change that cognitive structure in the brain, as you would with a phobia, so they can take the emotional intensity out of that experience and then be able to move forward and look forward to being there. And obviously it’s a beautiful moment and they want to share it as a family. N. And with just hypnosis in general, are they talking to you and telling you like, for example, if they had a traumatic experience, are they re-living it and telling you, or just visualising positive things? R. There is a method where you can re-live it. The method I use, especially if it is traumatic, is very dissociated, where I just need to get a general gist of what goes on, so maybe I’ll talk to them for about thirty seconds just to get kind of the intensity of it. But I don’t believe in making them re-live it if it’s that traumatic because it can just create a deeper imprint. The techniques I use can restructure that without them having to re-live it at that intense level. N. Now you’ve received some special training and I know that of course you’re based in Auckland and you do work one-on-one I with people in person, so that is wonderful for Auckland people that are listening that think, “Oh my goodness, I definitely need to book in or find out more”. What about people that don’t live in Auckland – who would you recommend? R. Down in Wellington there’s a gentleman called Andrew Hardwick – he’s got an amazing background: he has trained as a nurse and also in hypnotherapy, and he’s done the same training as I have, the Birth By Hypnosis and HypnoBirth Rite. In Palmerston North and Levin there’s Jenny Hudgel – she’s a wonderful, wonderful lady and works not only in birth but also with fertility and other issues. And for listeners in Australia, Alan Patching – he’s actually the trainer of a lot of these programmes and he is the Principal of a Hypnotherapy School over there, so if not him (if you’re not in his direct area) then he’s definitely got students that he’s trained who are specialised in Birth Hypnosis. So that concludes part 2. If you missed part 1 you can read it here or listen to the full interview. In part 3 Natalie asks me about how hypnosis can help with fertility and infertility issues, as well as a bit more on birth hypnosis!